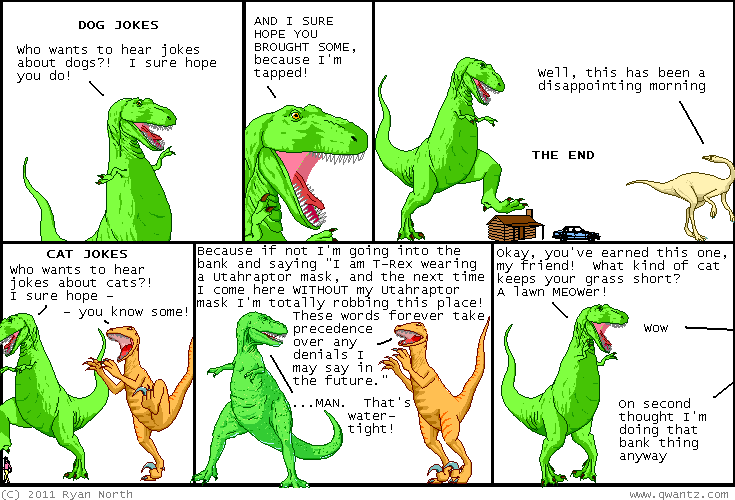 Dinosaur Comics - September 20th, 2011 - awesome fun times! –"This sentence is a lie!" September 20th, 2011: A lot of folks emailed me in regards to Friday's comic (the one with ghosts for everything that ever lived! ), saying things like "I WOULD TOTALLY WATCH THAT MOVIE." I'm not a film producer but I'll see what I can do! One year ago today: guest comic by KC Green of gunshowcomic.com!